… the Friday, Saturday and Sunday programmes, with all the details about the time and venue for each performance. We look forward to seeing you in a few weeks’ time. More details about performers, and see the gallery! 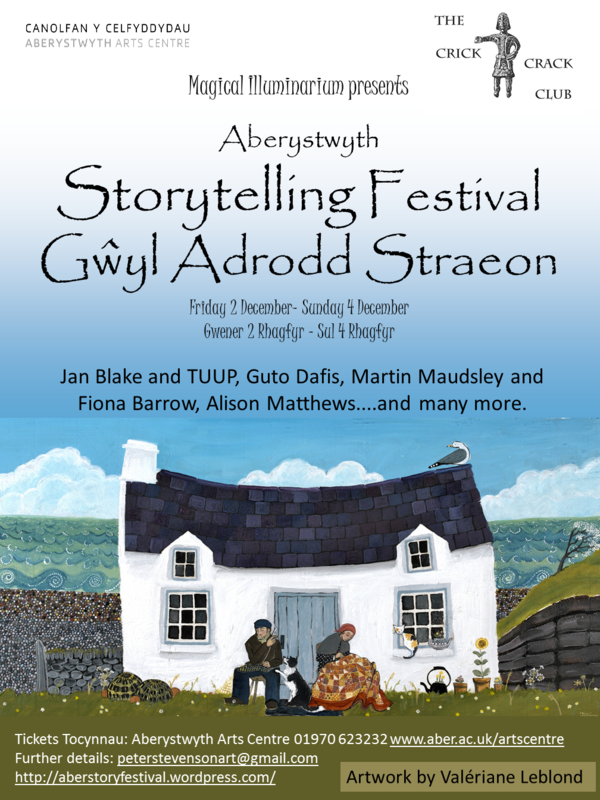 Catch us on the BBC Wales blog, and the Society for Storytelling! Gallery – if a picture is worth a thousand words, we thought you’d like to see what’s on offer with your own two eyes. Click on any picture for more details. Performers – looking for a particular performer? Click on a name to see their page. We now have individual pages for almost all of the performers. Programme – we have updated the list of who is performing on what days. Sincere apologies, but due to unavoidable circumstances, Martin Maudsley and Fiona Barrow will not be able to perform in the festival. We are pleased to note the addition of Christine Cooper as well as some additional fantastic musical performers including Côr Gobaith. Sarah Rundle is offering a very special kamishibae performance (Japanese Visual Storytelling). The Box – several films and performances have been added. We are excited to be able to present the early fairytale films of Lotte Reiniger. Elise Simard and David Rees Davies will be showing brand new films as part of this series. The exact times for each performance, as well as more details about the films and performances in The Box, will be posted shortly. 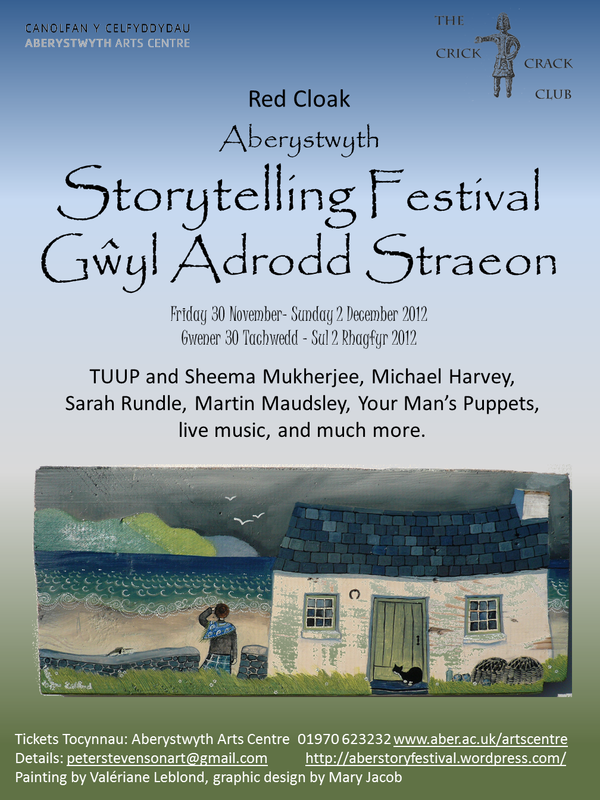 News flash – More information is now available on the Festival website, as well as the Aberystwyth Arts Centre website.